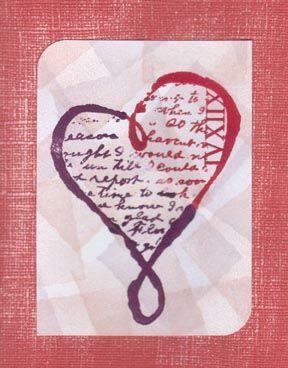 Rubber stamps are great for making greeting cards and other paper crafts. Learning how to make your own rubber stamps opens up a world of crafting possibilities. Fun foam, often used as part of children's craft projects, can be used to make your own rubber stamps. This material is easy to cut into whatever shape you desire. Cut your foam into the desired shape using scissors or a die cutting machine. Many craft and scrapbook supply stores have die cut machines for customers to use, if you don't already have your own at home. Apply double sided scrapbook tape or other adhesive to the foam. Attach to your block of wood or other material to give your stamp a stable base. Stamp your image using dye ink or acrylic craft paints. If you choose to use craft paints, remember that a thin coat will give the best results. Clean your stamp with soap and water when finished. Dark colors may stain the foam, but this won't affect the quality of the stamped image in the future. The Craft Zine blog has some tips and tricks that may be helpful to those interested in making foam stamps. Carving erasers requires patience and practice, but it can be a great way to design rubber stamps that are truly unique. Draw your stamp design on the eraser. Keep in mind that simple designs are the easiest for beginners to carve. Additionally, straight lines are easier to carve than curved lines. Carve your stamp design. Remember that you need to carve away the parts of the image you don't want to appear on the paper. Additionally, any text will need to be reversed in order to stamp correctly. If you're not sure you're carving properly, periodically stamp on a piece of scratch paper to check your progress. Clean your stamp thoroughly before using to remove any small bits of rubber that might affect the image quality. If desired, mount the stamp on a piece of wood to give it added stability. You can see a more detailed eraser stamp tutorial, complete with photos of projects you can make with your stamps, on Geninne's Art Blog. While learning how to make your own rubber stamps can be a fun craft project, it's important to keep in mind that these stamps are usually a bit more fragile than ones that were purchased from your local craft store. Keep stamps away from heat and direct sunlight. Store them horizontally in a shallow drawer, away from any objects that might scratch the surface.